So I did a couple of these little ladybugs, people love them, and I love doing them. I’m calling them #JDBugs (J for Jasmine, and jaydee as a play on the word “lady”. 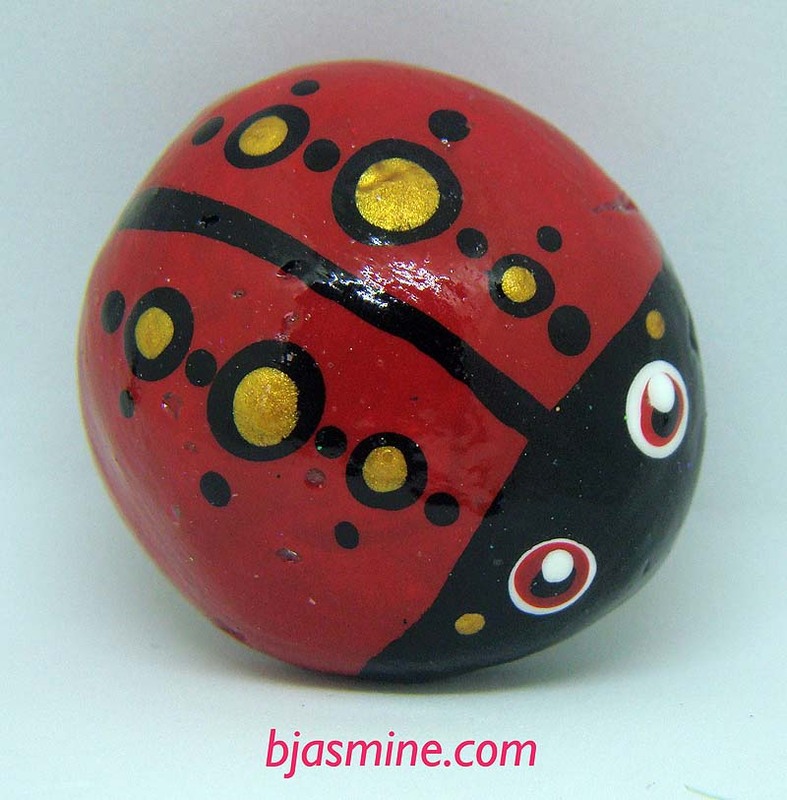 I have hidden a few #JDBugs around Niagara, but they are also available for purchase. I haven’t set up a serious shopping cart on my site yet, so for now, if you want a #JDBug, please let me know which one you want. I still have to fully price out shipping costs. I’ll post pricing when I have that information. Cultural Appropriation	Crash Bang Bam Boom Smash Tinkle!